Volkswagen and the I.D. 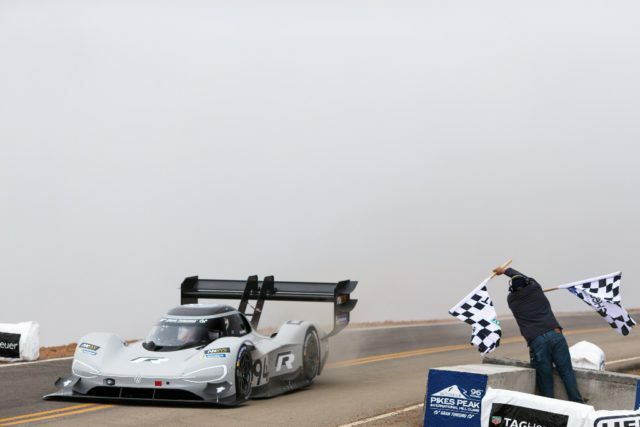 R Pikes Peak have made history at the Pikes Peak International Hill Climb. Driving the 500-kW (680 PS) I.D. 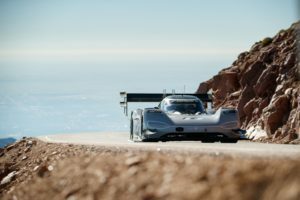 R Pikes Peak, Romain Dumas (F) defeated a field including cars with conventional drivetrain technology. 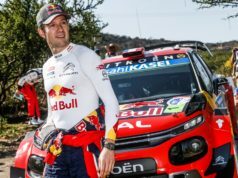 In doing so, he not only broke the previous record for electric vehicles but also bettered Sébastien Loeb’s (F) all-time record from 2013 – by a full 16 seconds. 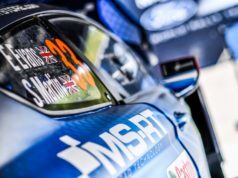 Dumas’ new record of 7m 57.148s minutes is now top of the list of Pikes Peak champions, which includes such acclaimed drivers as Loeb, Walter Röhrl (D), Michèle Mouton (F), Stig Blomqvist (S), Nobuhiro Tajima (J) and also Rod Millen and his son Rhys (both NZ). 19.99 kilometres, 156 corners, just one attempt – and a successful oneл Romain Dumas claimed his fourth overall victory at the iconic Pikes Peak International Hill Climb, which has now been held 96 times since 1916. With the I.D. 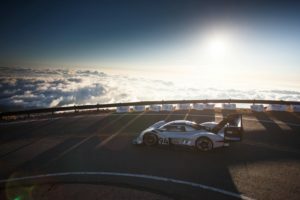 R Pikes Peak, Volkswagen has created an extraordinary racing car, specifically tailored to the demands of the most famous of hill climbs: a combination of minimum weight, as much downforce as possible, and maximum power, designed to achieve the best possible performance. Including its battery cells, the I.D. R Pikes Peak weighs less than 1,100 kilograms. In the matter of aerodynamics, the key was to compensate for the loss of downforce caused by the thin air on Pikes Peak. Viewers could see the result of this endeavour from afar: the flat chassis and huge rear wing. Volkswagen also struck out in a new direction when it came to charging technology – the goal being to charge the car as quickly as possible with minimum environmental impact. The regulations defined the time. In case of the race being suspended, it must be possible to completely charge the car in under 20 minutes. The electricity required was provided by generators at the foot of Pikes Peak. Glycerol, which in chemical terms is a sugar alcohol, was selected as the fuel. A by-product of the manufacture of biodiesel, for example, Glycerol combusts with virtually no harmful exhaust fumes or residues. Glycerol itself is non-toxic and is even an additive in the food and cosmetics industries. 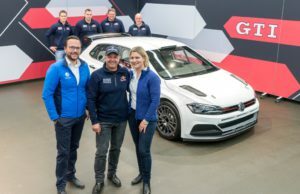 A mere 250 days passed between the announcement and the start of the Pikes Peak project on 18 October 2017 and the record-breaking run on Pikes Peak on 24 June 2018. This was an extremely sporty remit for the development of a thoroughbred prototype, including innovative fully-electric drive technology, specific demands on the batteries, aerodynamics and chassis. This effort and the tireless work now has a just reward – a new record on Pikes Peak.